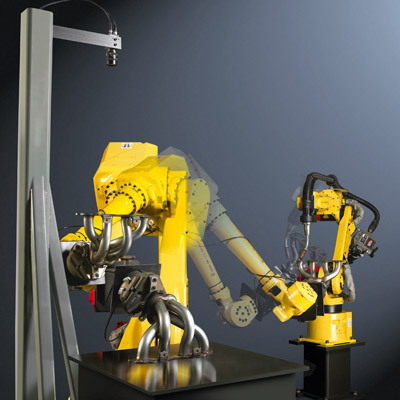 Purpose built for arc welding applications, Arc Mate series robots are the product of years of experience in robotics and welding. With payloads of up to 20 kg and reaches up to 2.0 m, this series is suitable for a wide range of arc welding, laser welding, soldering and cutting applications. Different models are available to meet a wide variety of demands and, whatever the model, come with a variety of tools to increase their versatility and help make your processes more efficient. 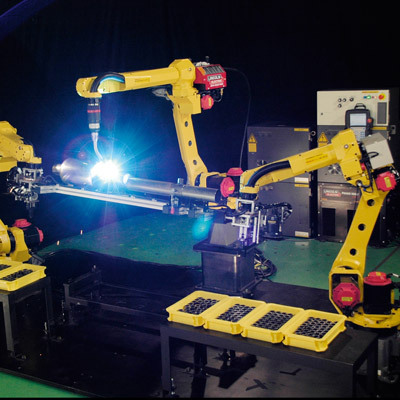 Thanks to their slim arm and hollow wrist design, FANUC arc welding robots can access the narrowest of spaces and are capable of handling extremely high payloads. 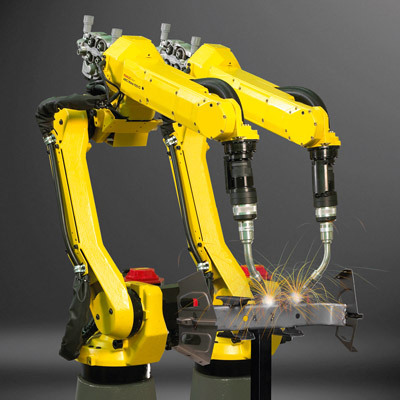 FANUC’s robots are the product of years of experience in robotics and arc welding. They are suitable for a wide range of industrial arc welding applications such as laser welding, soldering and cutting. Different models are available to meet a variety of demands and all come with a variety of tools to increase their versatility and help make your arc welding processes safer and more efficient. 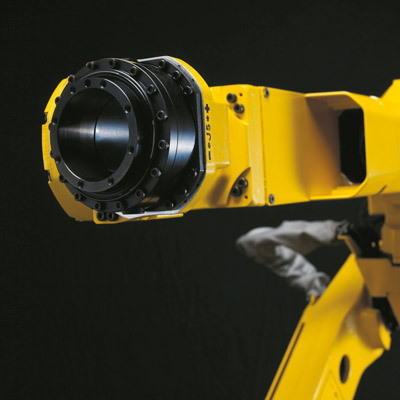 FANUC arc welding robots' slim wrist design makes them ideal for use in many different industries. They are widely used in the automotive sector, especially TIER 1 for welding seats, axles and other components. ARC Mate’s hollow wrist enables it to access narrow spaces and cuts costs by minimising wear and tear on welding cables. Offline programming makes it easier to foresee interference issues that could occur during the welding process. 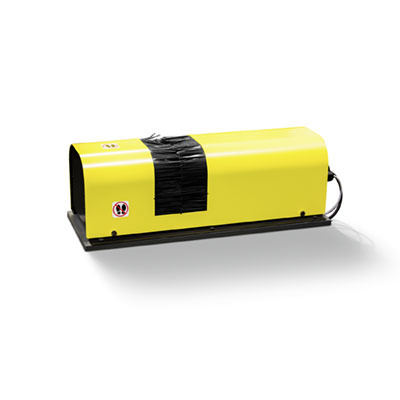 Allows for seamless connection to all leading welding power sources and minimises integration and setup time. 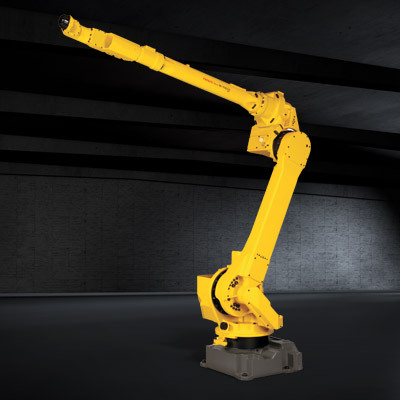 While other robot brands limit your power source options, FANUC provides high-level digital interfaces for the widest range of power source brands. With our digital interface, power source weld parameters can be monitored and adjusted directly from our Robot iPendant. Automatically adjusts the Tool Center Point (TCP) and improves welding productivity by eliminating time-consuming path re-teaching caused by torch or wire deviations after collisions. This technology is available in both tactile and iRVision-based methods to accommodate all different application requirements. 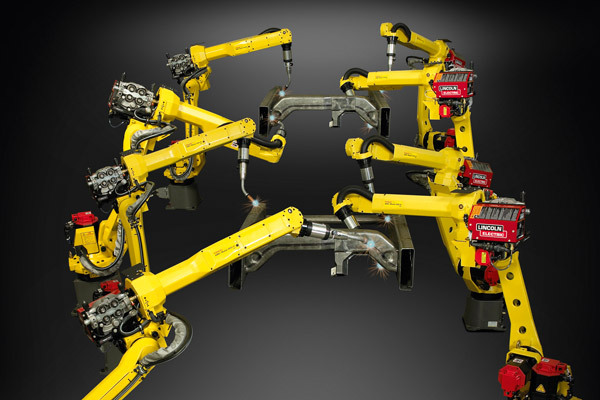 FANUC M-710iC series robots combine high payloads with very long reaches. With its hollow wrist and arm and 3.1m reach, the M-710iC/12L is ideal for processing very large parts.